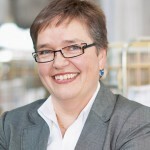 Liselotte Züllig is the CFO of 2ZET AG, an engineering and financial management company. Liselotte brings requisite knowledge, skills and experience gained from over 30 years of successful work in various roles. The abilities of the siblings and owner of 2ZET AG are based on a solid education, targeted further training and many years of management activities. Coupled with the personal commitment aspect, 2ZET AG is capable of efficiently solving challenges of various kinds. The collaboration with 2ZET AG will be profitable in a short time. Liselotte has a Master of Business Administration from the University of Zurich, 1990 and upon other qualifications a Certificate in Corporate Governance from HSG University of St. Gallen, 2015. An accomplished management consulting professional, she is highly skilled in the areas of financial analysis, executive business analysis, executive budget analysis, strategic planning, strategic business operations, change management, and corporate finance. At 2ZET AG, Liselotte and her team offer external capacity that provides an economically optimal alternative. They prove time and time again that organization improvement pays off in a short time and it will show sustainably positive results. They provide assessment planning, project lead controlling and reporting, while considering each change process to be a project under high time and cost pressures, and which must therefore be rigorously pursued in a target-driven manner. They are widely known for successful strategic support is shaped entirely by mutual trust, honesty and discretion. When she’s not working, Liselotte enjoys playing the flute, skiing and traveling. She resides in Frauenfeld, Switzerland. Worldwide Association of Female Professionals Member Liselotte Züllig can be found in the Association Directory, where she is looking forward to networking with you.